I don’t think I have ever stayed in a hotel as chic as Satri House. 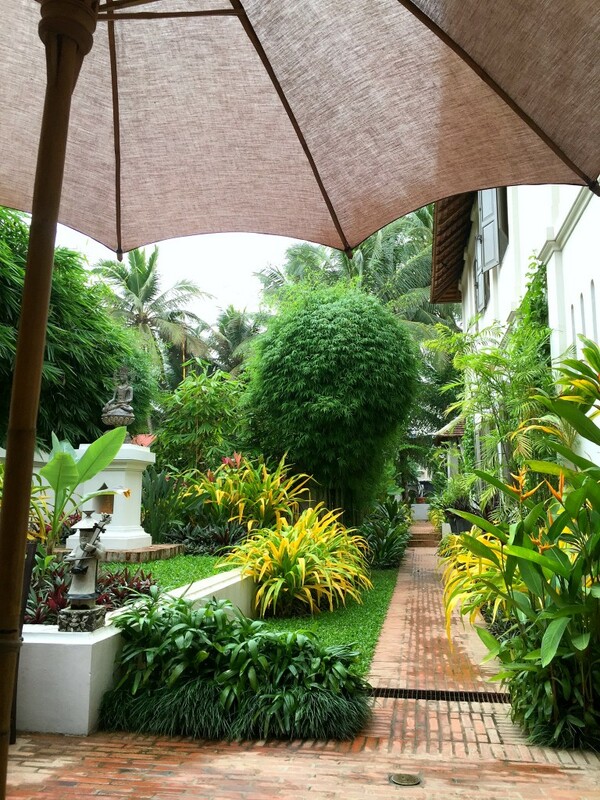 It takes all of the colonial charm of Luang Prabang and creates a beautiful, luxurious place to relax. We arrived in Luang Prabang at sunset. Our slow boat that had brought us down the Mekong River stopped on the banks of the river letting us hop off at the edge of the town centre. After a very short taxi ride we turned into a long drive way, and pulled up to a beautiful looking colonial building. I found Satri House through the Mr & Mrs Smith website, so I knew it was going to be good, but arriving like this made me even more excited to get inside! We were greeted with huge smiles and ushered through the reception adorned with the most beautiful hand-made jewellery and antique accessories and through to a grand red lounge room which was cool in the afternoon heat. 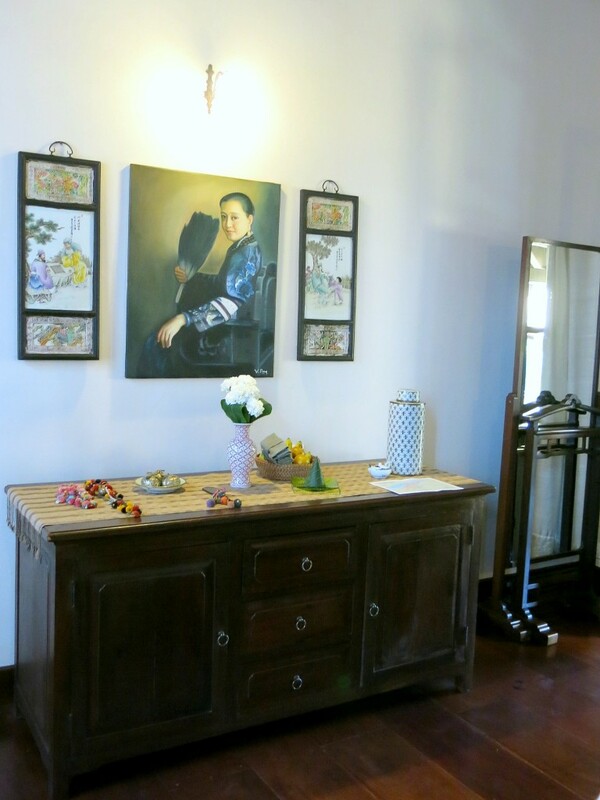 When looking to book our hotel in Luang Prabang I knew I wanted to stay in a boutique hotel with a colonial feel. We were doing very well so far! 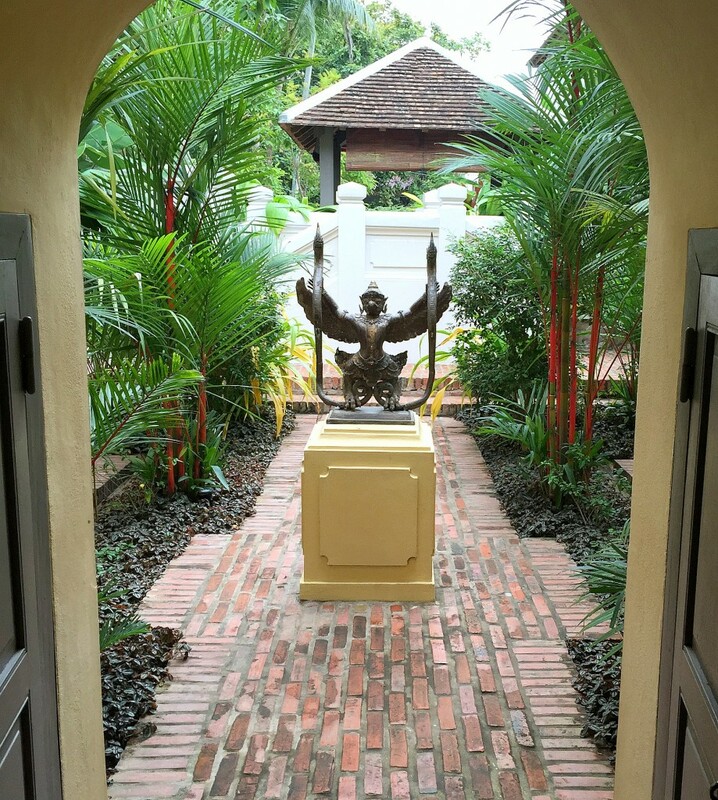 Built as a residence for a branch of the Lao royal family in the late 1900s, Satri House was once the childhood home of Prince Souphanouvong. It has recently undergone an extensive renovation. 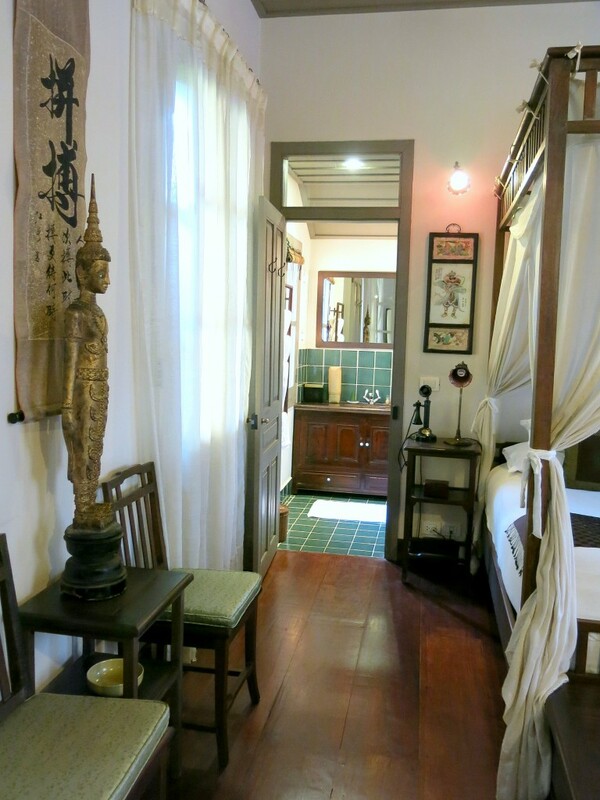 There are 31 rooms, including seven Junior Suites and three Satri House Suites. After a few minutes we were shown to our room. Round corners up a few steps, around another corner and a few more steps we were at outside our Deluxe Room. 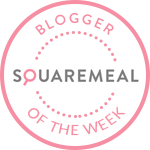 I wasn’t sure how we would find our way back out – the hotel felt like a maze! Around every corner there was something beautiful whether and sculpture, swimming pool or beautiful flowers. I was in love already. 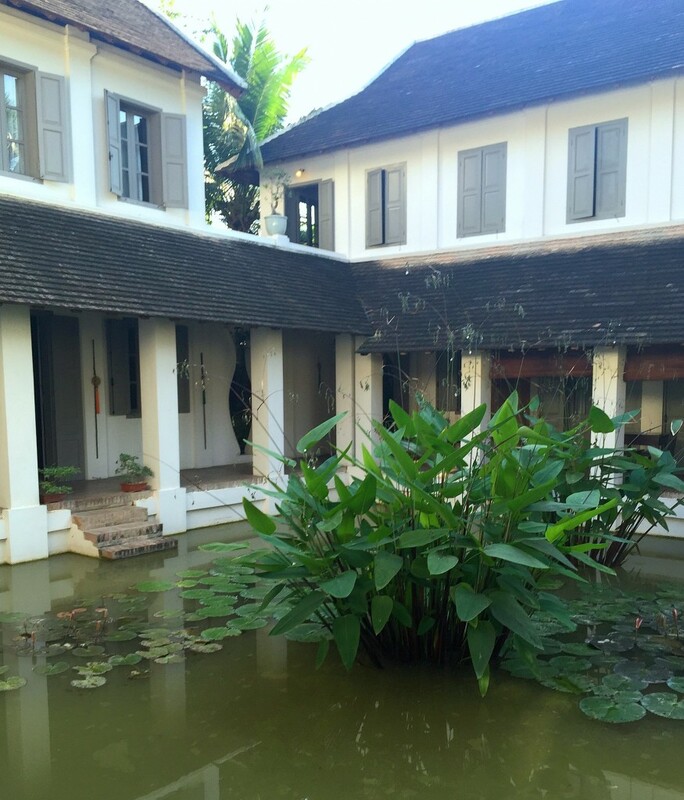 I definitely think this is one of the best places to stay in Luang Prabang. When we walked into our room I had the biggest grin on my face. It was beautiful. All the delicate and ornate details gave it a cosy but luxurious feel. 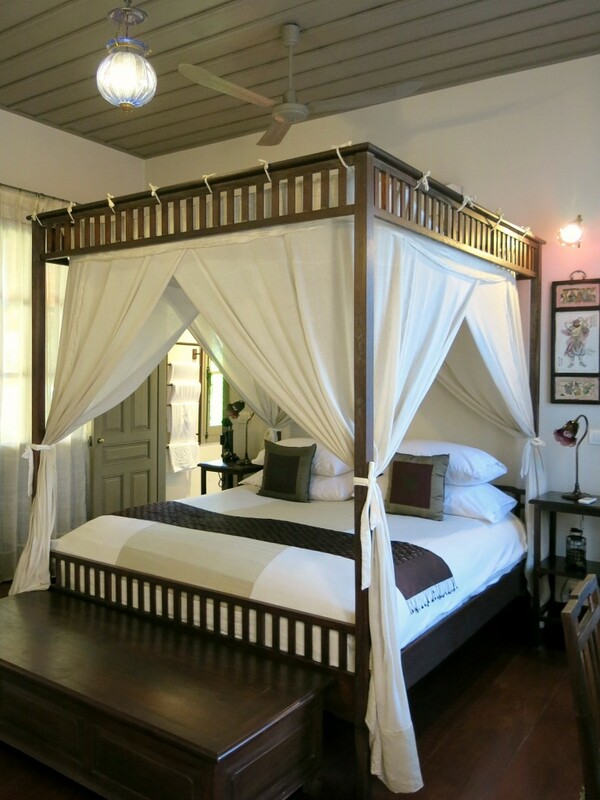 There was a four-poster bed which was incredibly comfy and dark wood furniture filled the room. We had a lovely little balcony where we could chill and basque in the setting evening sun. We only had two nights in Luang Prabang so we had to go out to explore as much as we could, but I’ll be totally honest, I didn’t really want to leave our beautiful room. This obviously comes quite high up the list for me! 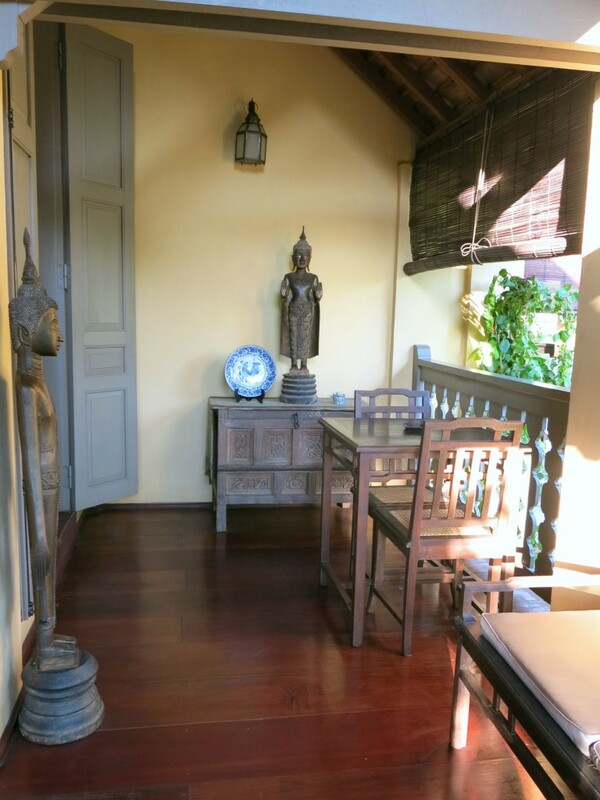 As we only had two nights in Luang Prabang we made the most of eating out, but the restaurant looked fab and I wish we’d had time to sample it. However, I can confirm that they serve an amazing breakfast! It was probably one of the best during our three week trip. With it’s French colonial history there is no surprise that the pastries were melt-in-the mouth. But they do a great omelette too. 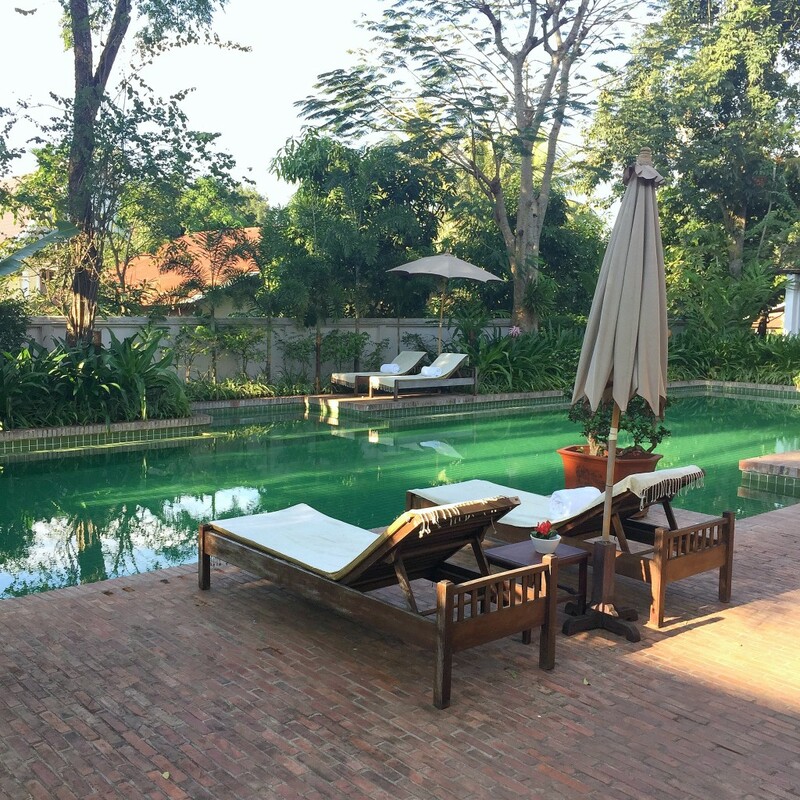 The Satri House Hotel has two swimming pools, both surrounded by lush gardens. There were some lovely swimming pools at other hotels in Luang Prabang, but these just looked so relaxing and serene. I did really notice the change in weather moving from Thailand to Laos. Every morning, as we travelled down the Mekong River and whilst we were in Luang Prabang, we awoke to heavy mist and relatively cool temperatures. I think this may have something to do with being always by the river? That’s my very intelligent geographical input! The mist would eventually clear at about 2pm in the afternoon and it would become baking hot and stay warm for the evening. This meant we didn’t get to use the pools as we were out in the afternoons. But if you were staying here for longer I would definitely recommend a lazy afternoon by one of the pools. Once I know what hotel I want to stay in, I always shop around for the best price or deal. One of the main reasons I love to use Mr & Mrs Smith is there is always a ‘Smith Extra’. It’s the little treat you get by booking with them. It can be anything from a complementary bottle of wine or a free airport transfer or it could be a 60 minute massage for two like at the Satri House! When a hotel costs pretty much the same across different channels, it’s these little touches that make me opt to book with Mr & Mrs Smith. Unfortunately D is not into massages so I had to go alone on this occasion! Satri House is just a ten minute walk from the town centre. When I was researching where to stay in Luang Prabang I was worried this hotel was too far from the centre. We didn’t have long here so I wanted to make the most of all our time and didn’t want to spend that time travelling in and out of town! I quite liked being just out of the busy centre. In the day time Luang Prabang feels almost sleepy, it has a lovely slow pace. But at night the centre comes alive with the markets and everyone is out in full force. Our hotel was a calm place, just how we liked it. It felt completely safe at night too so no worries about the short walk, but there are also an abundance of tuk tuks if you don’t fancy walking. I don’t think there is just one thing that makes me love Satri House. 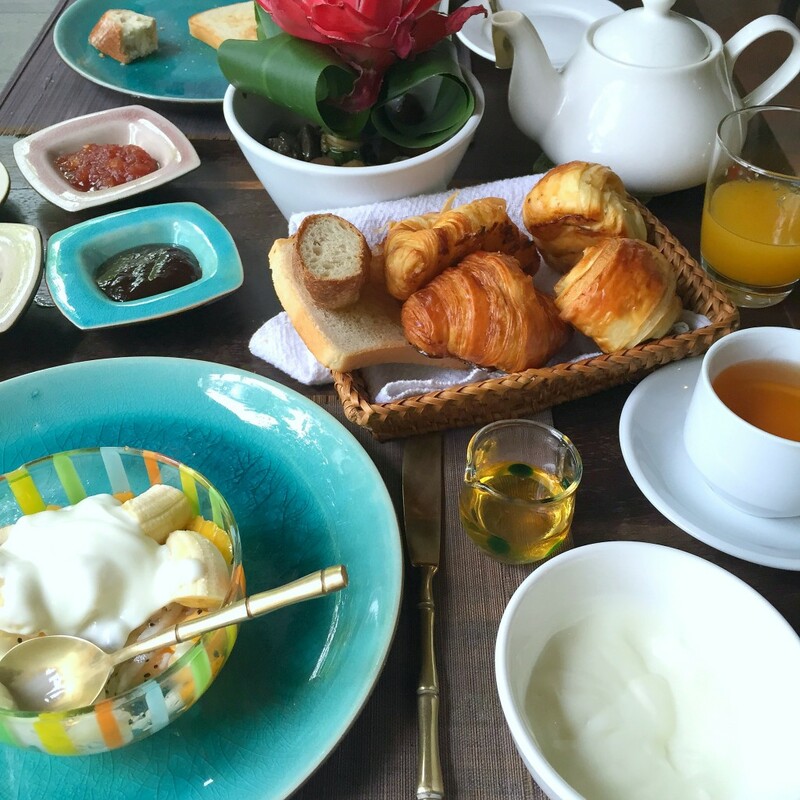 It is a whole host of ingredients that make this hotel such a pleasure to stay in. Firstly, how beautiful is this place! So much house inspiration in one place, from the colonial rooms to the flourishing gardens and tranquil pools. 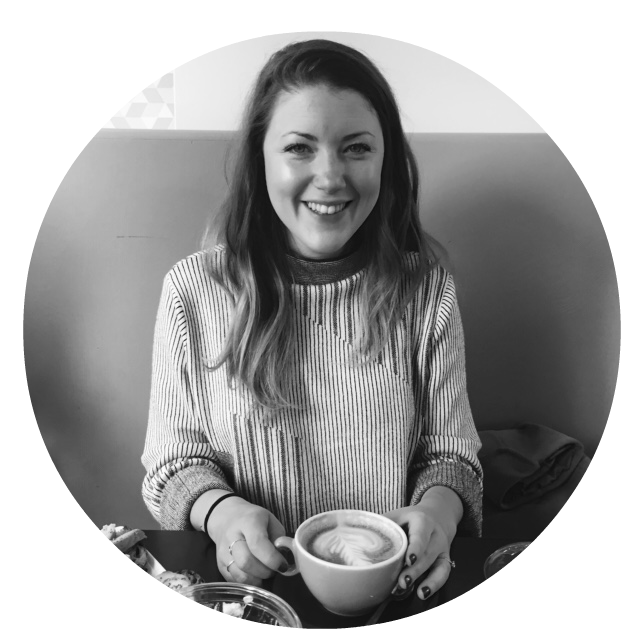 The staff are also super friendly and so helpful with any request you may have. There is a great spa on site too, which is never a bad thing! 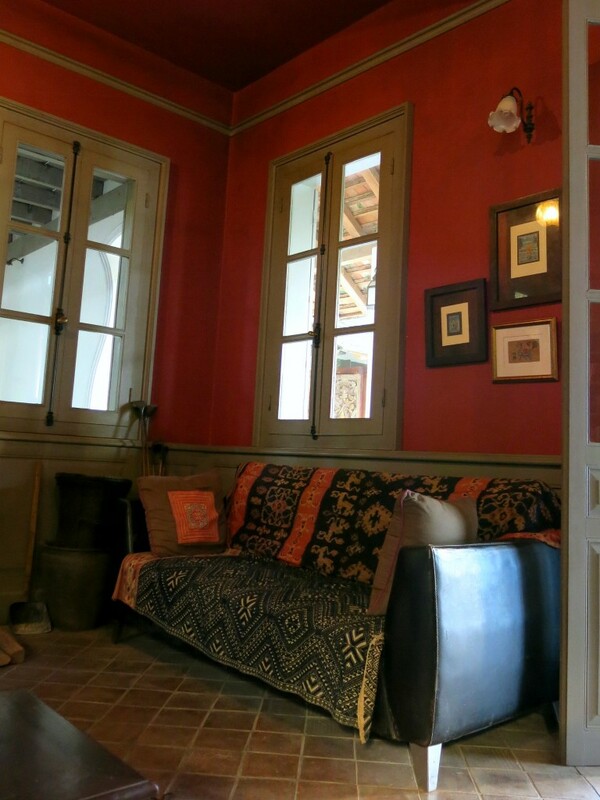 We loved our stay at Satri House. 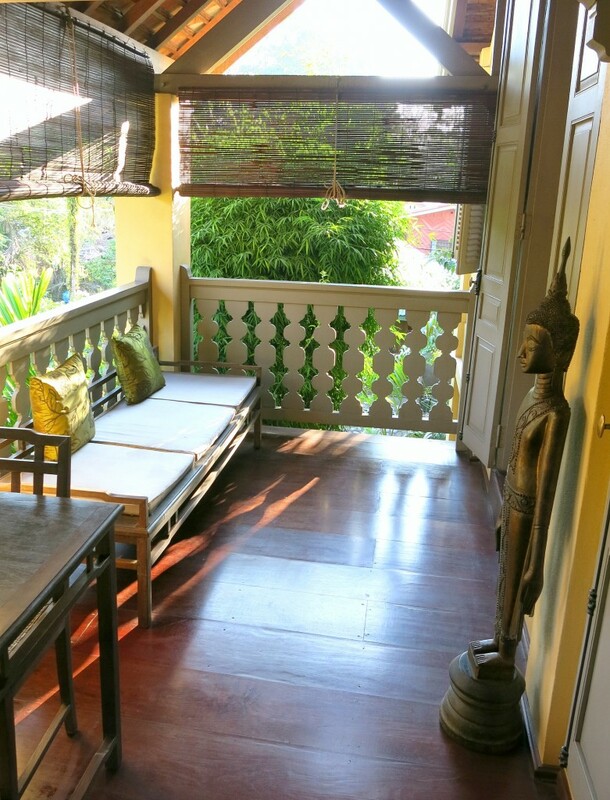 If you are planning a trip to Luang Prabang soon then you should definitely book a room! Have you ever been to Luang Prabang? Anyone else love the extras Mr & Mrs Smith offer!? That four-poster bed looks lush! And I like the old-meets-new feel of this place.